X-Win32 provides a secure remote login to USC UNIX hosts; it is an application that allows Windows Vista, Windows 7, and Windows 8 systems to run X-Windows applications over the USC network. NOTE: If you are using X-Win32 from an off-campus location, you will need to connect to USC’s VPN. 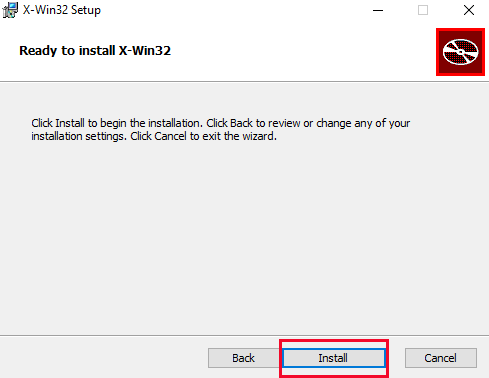 After downloading the software from software.usc.edu/x-win32, double-click the x-win32-2014.46-USC.exe file to begin the installation process. NOTE: You may see a dialog box stating that Windows prevented an unrecognized app from starting. If you receive this message, click Run anyway to continue with the installation. 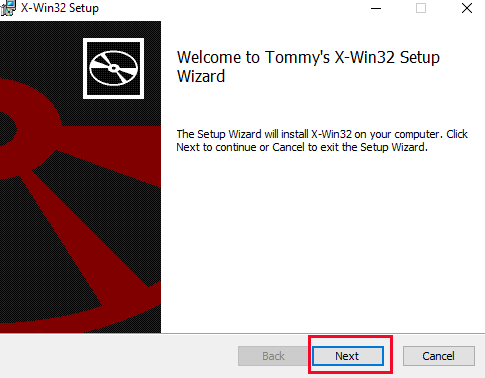 The X-Win32 Setup Wizard will launch. Click Next to continue with the installation. On the End-User License Agreement screen, review the license agreement and then check I accept the terms in the License Agreement. Click Next. On the Destination Folder screen, choose a folder in which to install X-Win32 or accept the default location and click Next. On the Ready to install X-Win32 screen, click Install. After a few moments, the completion notice will come up. Click Finish. X-Win32 consists of several components: the X-Win32 application, the X-Win Config, and the F-Secure SSH Client. From the Start menu, select All Apps and then X-Win32 2014. The X server program will start. Click Shared Sessions in the Connections tab to bring up a list of pre-configured hosts (BCF, RCF, SCF, ITS, or HSC) . Select the host you wish to connect to and double-click Launch to begin your X-Win session. You’ll be prompted for a login (your USC username) and a password (your USC password). If your login and password are accepted, X-Win32 will display an xterm window. From there, you may run other X-windows applications. Note: The directory /usr/usc/X11/bin must be in your UNIX path environment variable to run most common X-applications. The second program, X-Config, is used to edit sessions and configure various aspects of X-Win32’s behavior. You may use X-Config to do several things that will modify the way X-Windows look and run. Select X-Config from the X-Win32 menu. Under New Connection on the right-hand side of the screen, click the Manual button to begin session creation. Enter relevant information into the New Session box. The session name is just the name that will appear in the menu (i.e. HSC). The command to be executed. The command to be executed for the session must include a display parameter. where xcommand is the X-Windows client command. Replace string with the actual name of the computer whose X-server is to receive the client display, and X.Y is a code indicating on which screen it will be displayed. Black -fg Gray -ls -sb -sl 500 -geom 80x24+0+0 -T "xterm"
Please refer to the command man xterm for information on what these modifications do. -ah -bg Black -fg Gray -ls -sb -sl 500 -geom 80x24+0+0 -T "xterm"
Click the Save button to create the session. It will now be listed under the Sessions tab. Click the OK button to close X-Config. ITS recommends that you quit all currently running X-applications before exiting from the xterm. If you do not quit all applications properly, they may stay running after you exit. You can check running processes with the ps -gx command. To quit X-Win, right-click the X-Win icon in the notification area at the far right of the taskbar located at the bottom of your screen and select Exit. X-Win32 has numerous menu options. These menu options are accessed by right-clicking the X-Win icon in the notification area at the far right of the taskbar. Several essential options are included below. on a properly configured remote system. Note: If you have multiple user accounts on your PC, the sessions that the installer creates are only available for the user who installed it. You willneed to manually create sessions from other user accounts in order to use X-Win32. Help may be selected to bring up a menu from which you can view Release Notes, Licenses, or Request Support. This is useful to diagnose problems that you are having connecting to the server or launching applications. The X-Config menu option will start the X-Config program. This tool will allow you to manage and edit your sessions. The Reset menu option will end all active sessions. You will lose unsaved data in open applications when you choose this option.